Dr Punit Ramrakha graduated with a 1st Class Hons. from Cambridge (MA) and Oxford University (BMBCh). He trained in General Medicine at Hammersmith Hospital, Royal Brompton Hospital, St Thomas's Hospital and National Hospital Queen Square in London, before undertaking his cardiology training as a Registrar at the Hammersmith Hospital, Charing Cross Hospital and St Mary's Hospital, London. 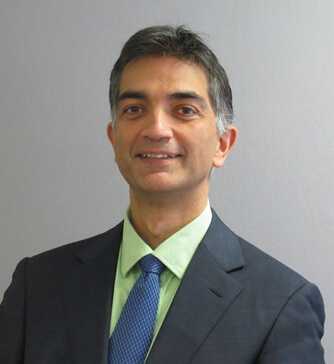 He did a PhD at Imperial College London and was appointed as Consultant Cardiologist in 2002, working between Hammersmith Hospital and Buckinghamshire Hospitals NHS Trust. He has been the Clinical Director for Medicine at Stoke Mandeville, the Lead for Cardiology in the Trust and is currently the Clinical Lead for Heart Failure. Dr Ramrakha has published several medical textbooks including the Oxford Handbook of Clinical Medicine, Oxford Handbook of Acute Medicine, Oxford Handbook of Cardiology, to name a few. The Oxford Handbooks have been translated into several languages and are also available in electronic format. His clinical research interests include cardiac rehabilitation and biomarkers to identify individuals at high risk of cardiac disease. Dr Ramrakha’s practise spans the diagnosis, treatment and prevention of heart diseases such as coronary artery disease (angina and heart attacks), hypertension, heart valve disease, heart failure, cardiac arrhythmias and blackouts (e.g. atrial fibrillation). His attention to detail and passion for results strengthens his performance across procedures such as complex coronary angioplasty with stents, pacemaker implantation, closure of holes in the heart (ASD and PFO), and renal denervation for resistant hypertension.